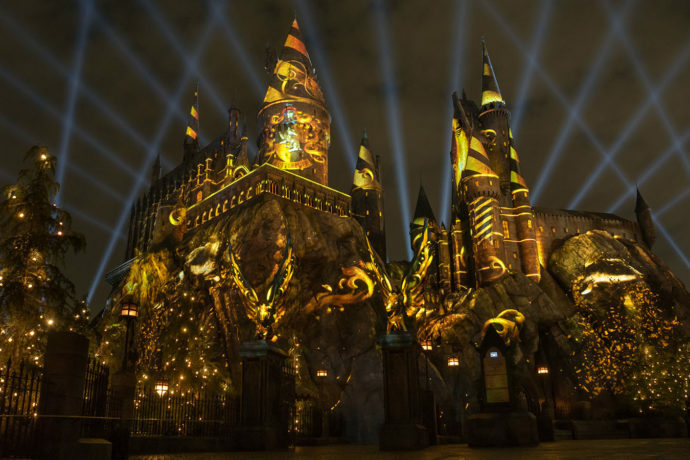 Universal Orlando’s second nighttime projection show for Hogwarts Castle is set to debut on Wednesday January 31, 2018. 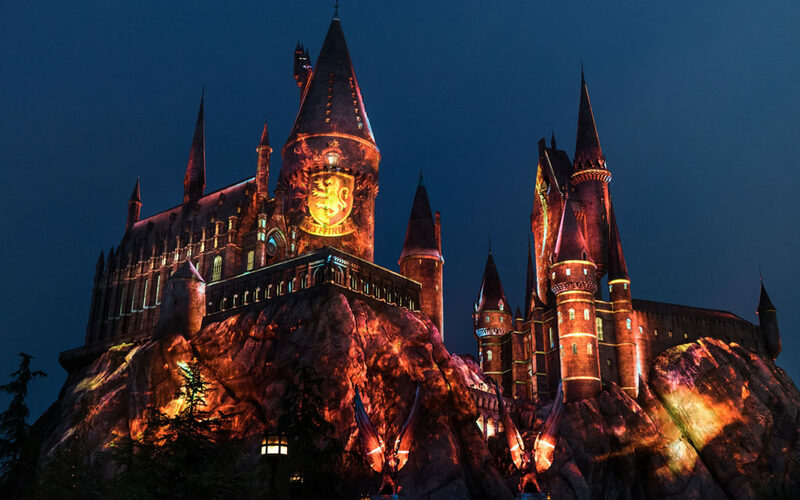 The Nighttime Lights at Hogwarts Castle celebrates the four houses of Hogwarts by transforming the castle in a dazzling display of lights, special effects and music. Guests of A Celebration of Harry Potter will be able to preview the show on Saturday, January 27 and Sunday, January 28. A Celebration of Harry Potter package holders will get to see it first at an exclusive preview event Friday, January 26th. 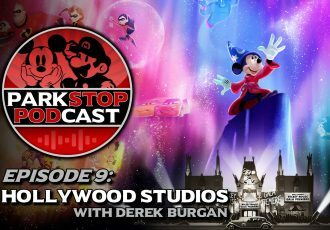 See more dates and info below and stay tuned for more theme park news. 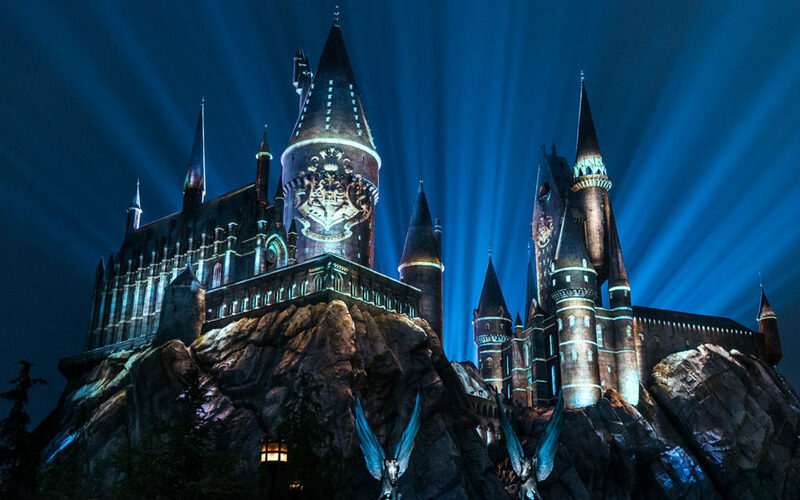 Get out your house robes and scarves – a new projection mapping experience is coming to The Wizarding World of Harry Potter at Universal Orlando Resort. 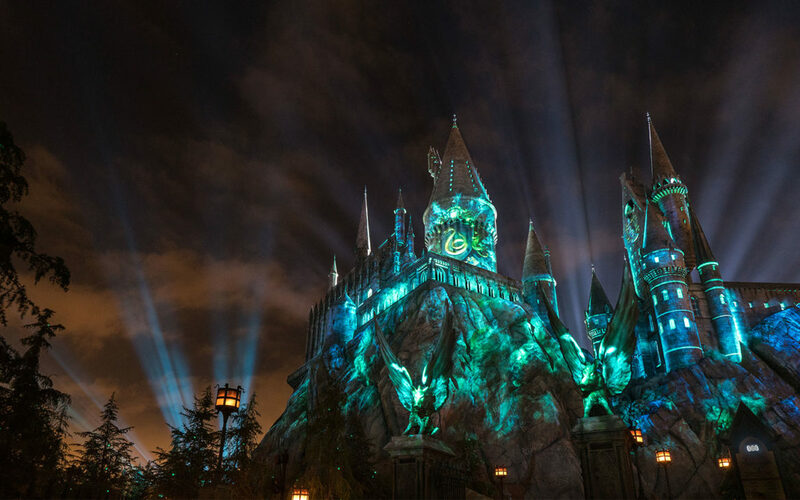 As night falls, you’ll see the spirit of each house wrap itself around the castle. Gryffindor, Slytherin, Ravenclaw and Hufflepuff will all be represented, each house showcasing its pride in its own unique way. And of course, it’s all set to incredible music based on the original scores from the Harry Potter films. This is the second projection mapping experience we’ve featured in The Wizarding World of Harry Potter. 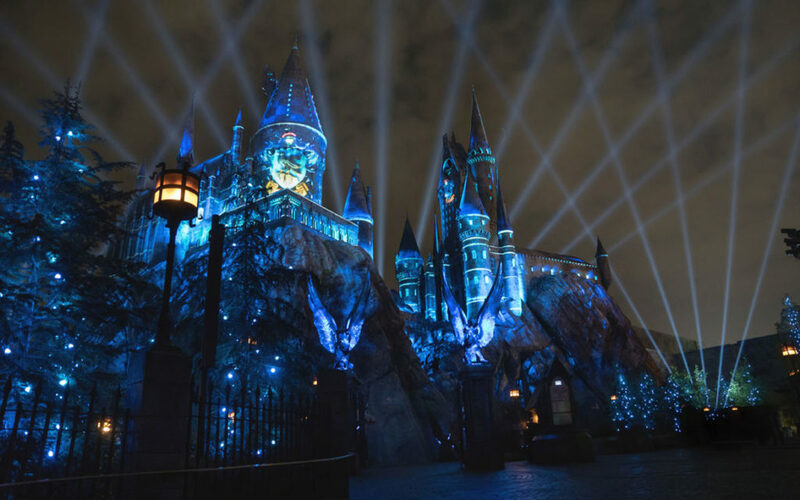 Over the holiday season, The Magic of Christmas at Hogwarts Castle made its debut at Universal Orlando. This brought Christmas moments inspired by the Harry Potter films to life. If you made it out here to see that magic, you won’t want to miss this. 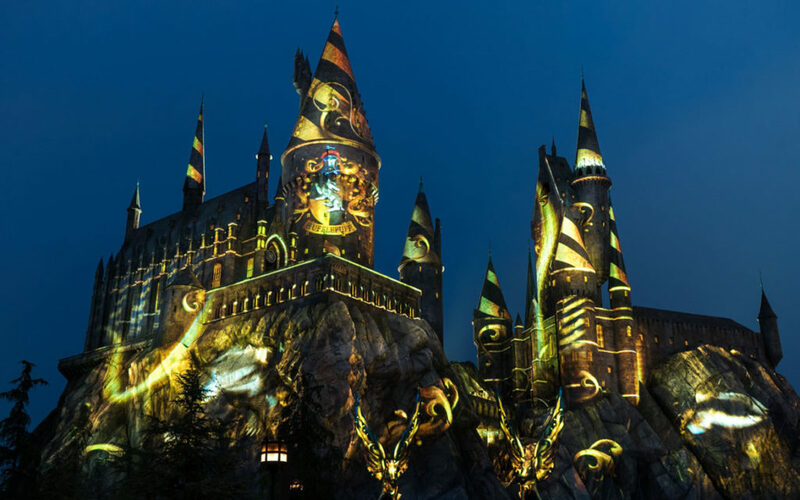 The Nighttime Lights at Hogwarts Castle is scheduled to run Jan. 31 to Feb. 5, and Feb. 7 – Feb. 12 (additional dates will be announced at a later time). You can preview it during A Celebration of Harry Potter on Saturday, Jan. 27 and Sunday, Jan. 28. And – if you’re A Celebration of Harry Potter package holder, you can be among the first to see it during an exclusive preview event on Friday, Jan. 26. 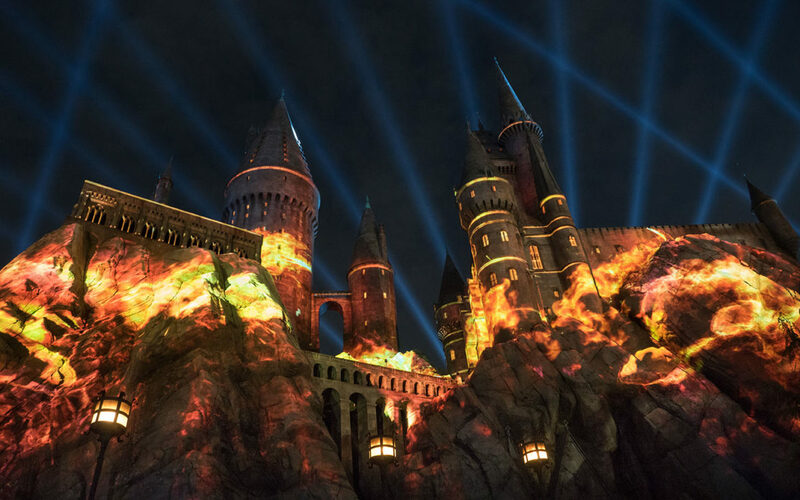 This nighttime show featuring the four houses first appeared at Universal Studios Hollywood for the grand opening of their Wizarding World.